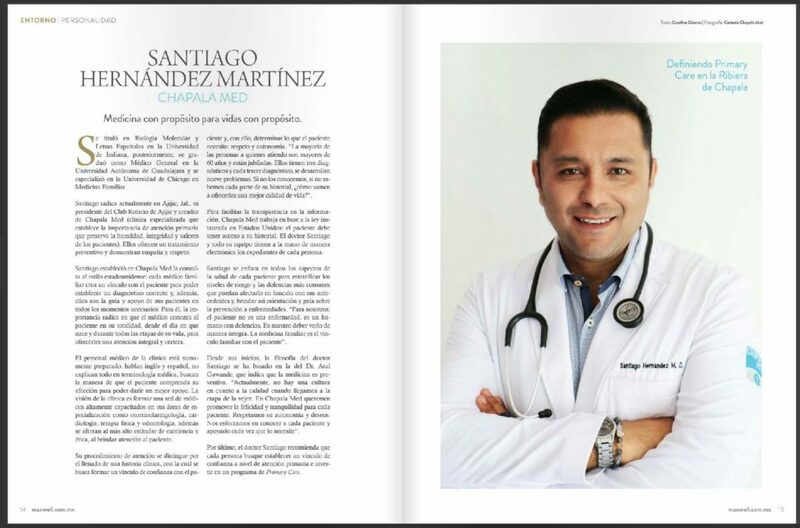 Dr. Hernández considers himself a native of Chicago although he was born in the state of Michoacan Mexico. Having lived in the Chicagoland area for more than 30 years his ability to communicate equally well in both English and Spanish sets him apart from other physicians who may speak English as their second language. 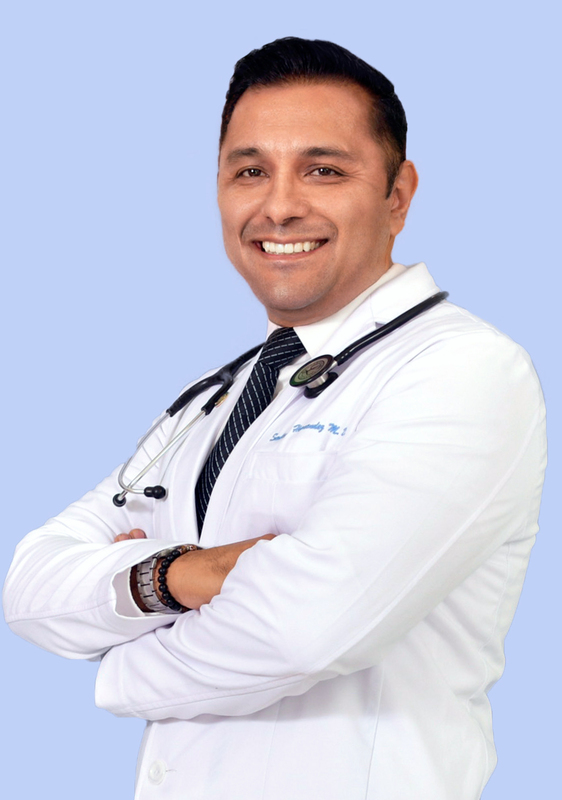 Dr. Santiago Hernández is a native of Chicago having grown up there since the age of 2 when his family emigrated from the state of Michoacan, Mexico. He attended Indiana University where he received his B.A. in Spanish and Biology. Having lived in the Chicagoland area for more than 30 years makes him a unique and effective communicator and healthcare provider in both English and in Spanish. His years of training in the U.S. make him exceptionally familiar with the U.S. healthcare system and those standards of care have allowed him to develop not only a solid knowledge base but also a keen sense and intuition of what the needs and expectations of American and Canadian patients may be. Receiving his medical training in Mexico and in the U.S., no language or cultural barriers exist while patients are under his care in the Chapala Lakeside area or in the event of hospitalization in Guadalajara. His years of training as a medical interpreter and 4 years in Family Medicine makes him exceptionally familiar with the standards of care in the U.S. healthcare system without losing sight of the care and compassion that has come to be recognized of the healthcare system in Mexico. Dr. Hernández, being an EXPAT himself, has a solid knowledge base and a keen sense and intuition of the needs and expectations of the AMERICAN and CANADIAN Expat community of Jalisco when it comes to their healthcare needs. These personal and professional assets have positioned Chapala Med as the GO-TO practice for EXPATS living in the Chapala Lakeside area and Guadalajara. Chapala Med is affiliated with Hospital Country 2000 in Guadalajara where Dr. Hernández enjoys hospital privileges. Providing healthcare access to those who cannot afford it is one of the ways Dr. Hernández gives back to the community. Dr. Hernández has been an active member of the ROTARY CLUB of Ajijic since 2013 and currently serves as the organization’s President. In addition, he provides free healthcare to members of the TEPEHUA community in Chapala Jalisco as well as to 105 students that are in the PATHWAYS SCHOOL SPONSORSHIP PROGRAM (part of OPERATION FEED). During his free time Dr. Hernández enjoys partaking in fitness activities, running, photography, tango dancing, cinema and organizing networking events for the local EXPAT communities of Chapala and Guadalajara. Medical physician for Steiner Leisure aboard luxury cruise liner. Facial rejuvenation specialist. Trained and certified by Dr. Brad Herman at Miami Plastic Surgeryin the use of Botox Cosmetic and Hylauranic acid dermal fillers. Certified by Joint Commission to provide Spanish Medical and Legal interpretation primarily in various clinical settings around the Chicagoland area.